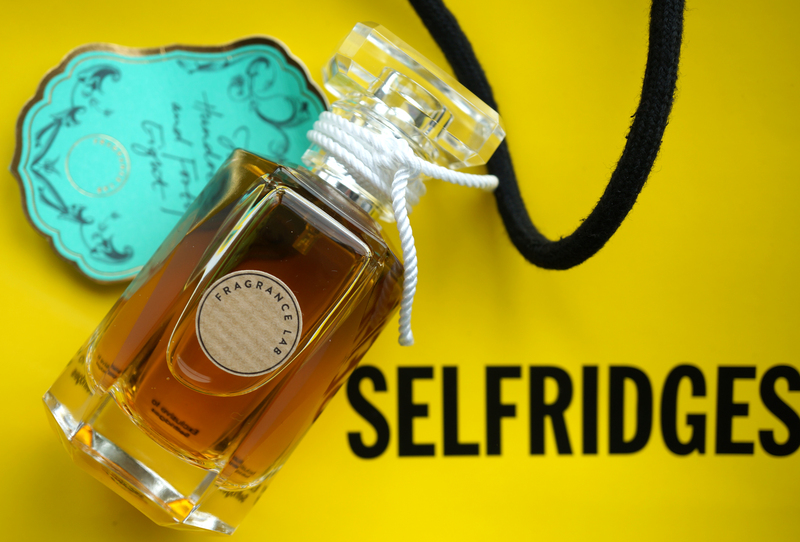 You may have seen my post about my amazing day out in London, if you read it you can probably tell a big part of our day was spent in Selfridges. I’d never been before so I was super excited! 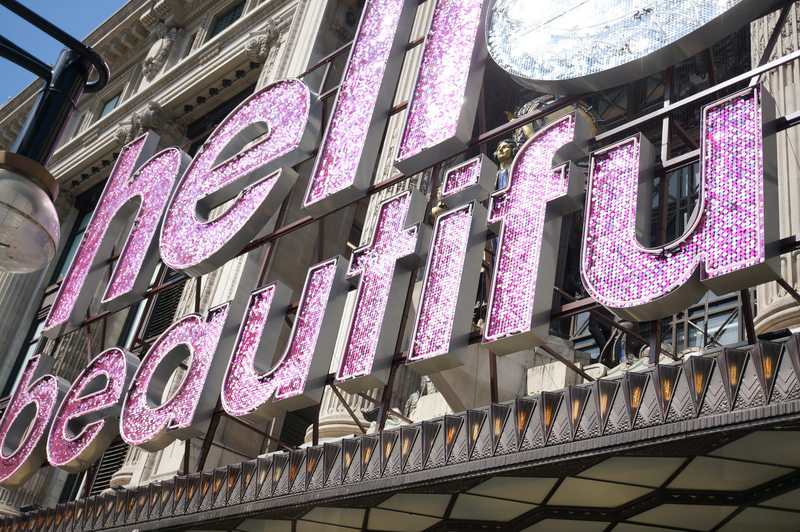 Our London trip also happened to coincide with the start of Selfridges Beauty Project (I didn’t plan that, honest!!) If you haven’t heard of The Beauty Project, it’s a six week project of pioneering talks, interactive debates, and immersive beauty experiences to challenge peoples perception of beauty. 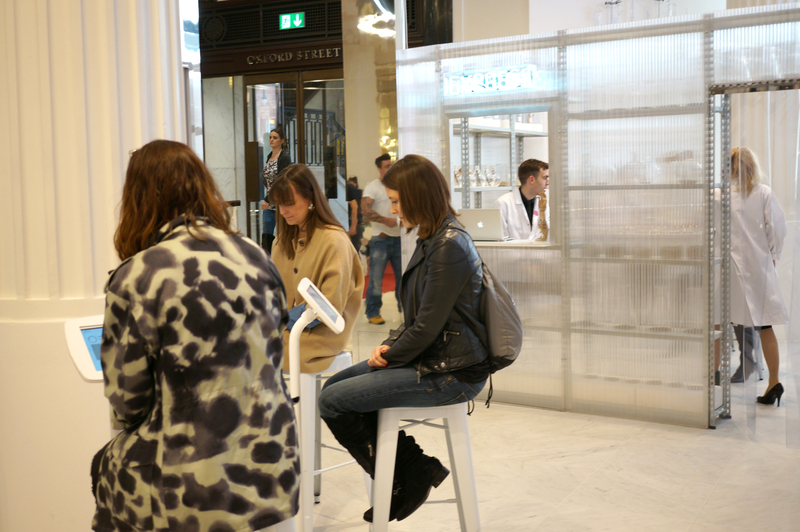 One of the experiences on offer was the Selfridges Fragrance Lab. 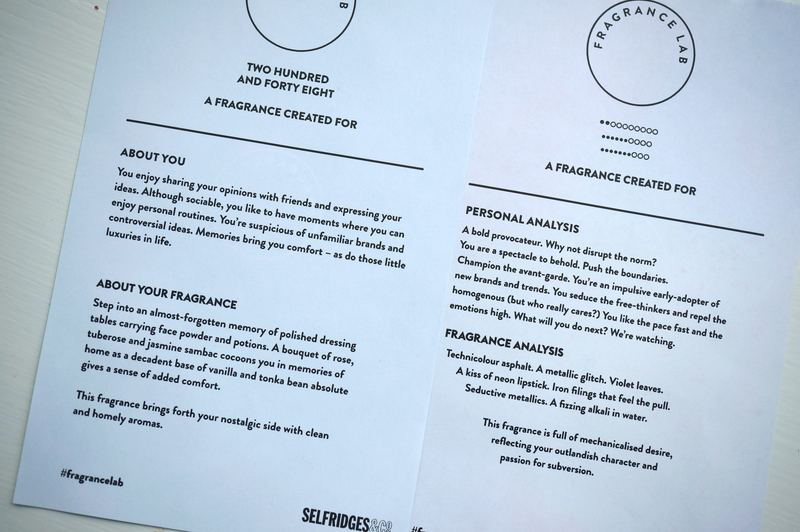 The idea of the Fragrance Lab is to match your personality to your perfect perfume! I thought I’d treat myself to this experience as a pre-birthday present! When I arrived at the lab, it there were lab ‘assistants’ scurrying around in white coats like scientists, I loved this! OnceI I’d checked in, I was then asked to sit down and answer a questionnaire on an iPad. Most of the questions were multiple choice with visual options, like ‘Choose the image that most represents you’. 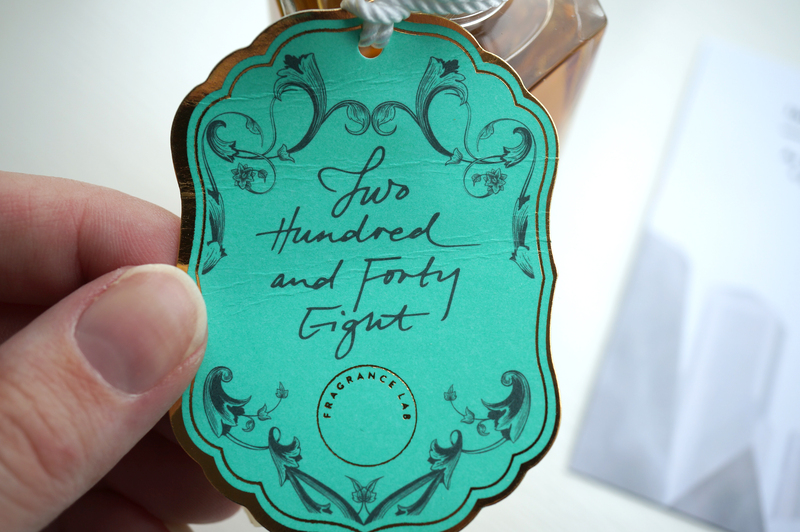 So I went with fragrance 248, which came in a lovely vintage style bottle and Selfridges pouch – I love that each bottle is different and corresponds to the ‘style’ of fragrance it holds. Also, these perfumes are all one offs made especially for The Fragrance Lab, so if you’re interested make sure you book your appointment now as they won’t be available again! 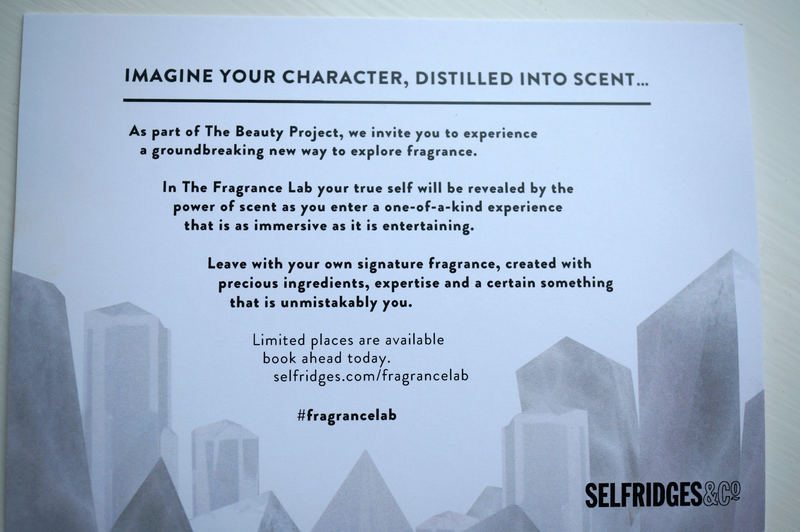 I would really highly recommend this experience – who doesn’t love a new perfume hey!? I also still have my London shopping haul to write up, so that will be on the blog soon!